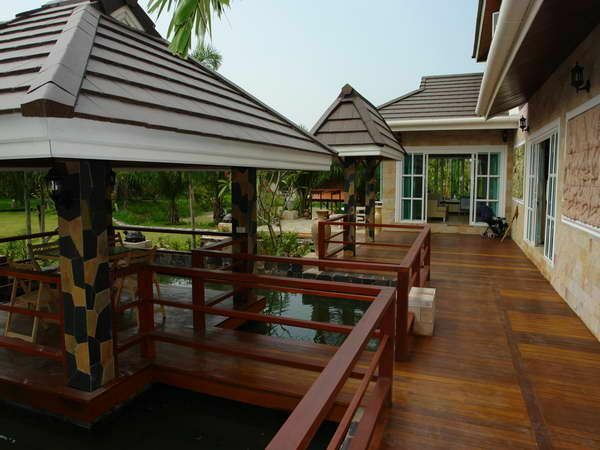 A large multi house estate approximately 20 minutes from the centre of Pattaya. This offers the ultimate in privacy to those requiring a large family home with seperate guest and extended family housing. 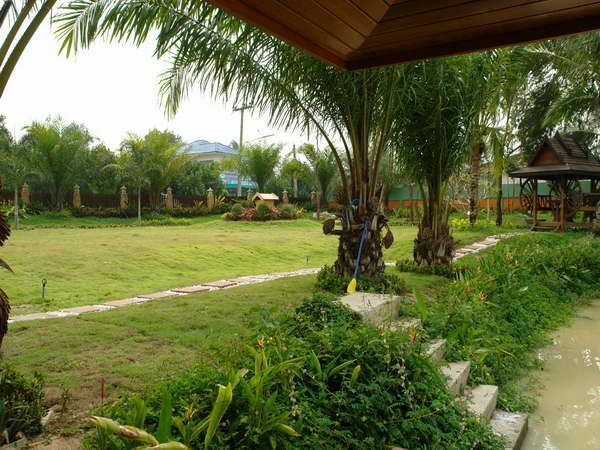 This 3 Rai (Appx.1.25 Acres) Estate consists of 4 houses. 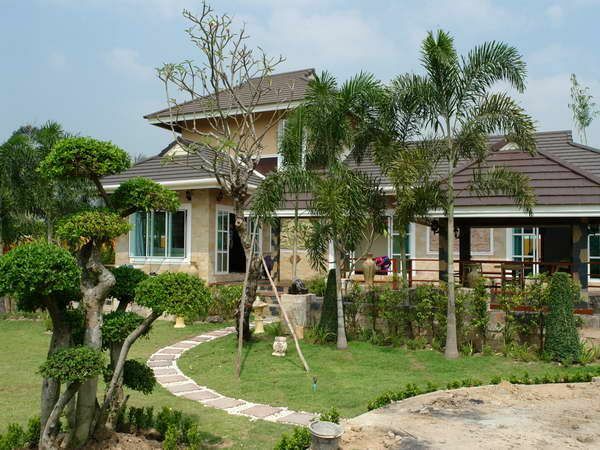 The main house is a large 3 bedroomed family unit mixing both Thai and european style quite efficiently. 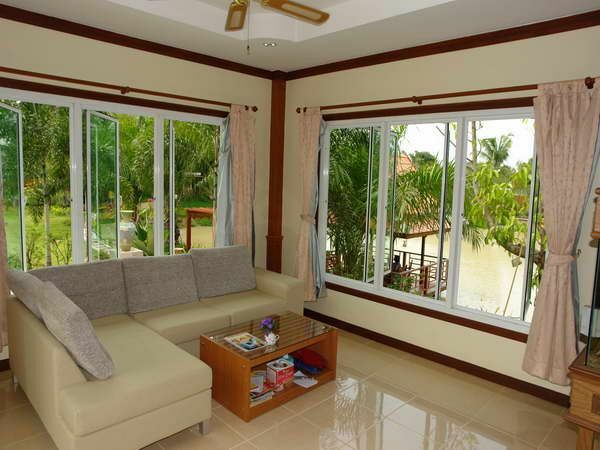 2 seperate houses each have one bedroom and one bathroom and are ideal for guests who wish for privacy. A further building houses a seperate karaoke room keeping even the most enthusiastic budding star well out of earshot from the rest of the family. 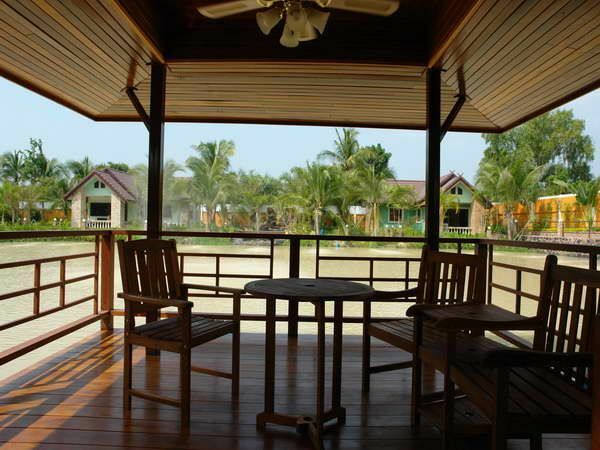 The property is currently held under Thai ownership and the transfer expences will be split 50/50.